Balboa Island Beach House – Comfort, history, and value, just a few steps from the beach! Comfort, history, and value, just a few steps from the beach! Put your feet up and relax! Our vacation home is part of an Island duplex. It is the ‘main house’ built behind one of the historic Balboa Island beach houses. It has all character of an Island home yet with all your modern amenities. It is decorated in lovely antiques and beach memorabilia. If you spent time on Balboa Island as a child, this will bring back fond memories, and make some new ones. It’s the perfect place to share with your children or grandchildren! Upstairs is an open plan living room, kitchen and a small deck with BBQ. HDTV, with cable and DVD, Wi-Fi, and Bose Music System (for radio and iPod etc.) will satisfy your media needs. Master bedroom has full ensuite bath, second bedroom with 2 twin beds and TV, half bath down the hall. Downstairs is a private bedroom with 2 twins (which can be pushed together for a king bed) and ensuite bathroom. Separate ‘beach shower’ has outdoor access. Garage with parking for 1 car, washing machine and dryer. Balboa Island is a little touch of heaven – a small island in Newport Harbor, that has a small town feel. This is a place where the favorite activity is walking around the island on the boardwalk along the bay, so park your car and enjoy the walk! Five doors down is the calm sandy bay beach. 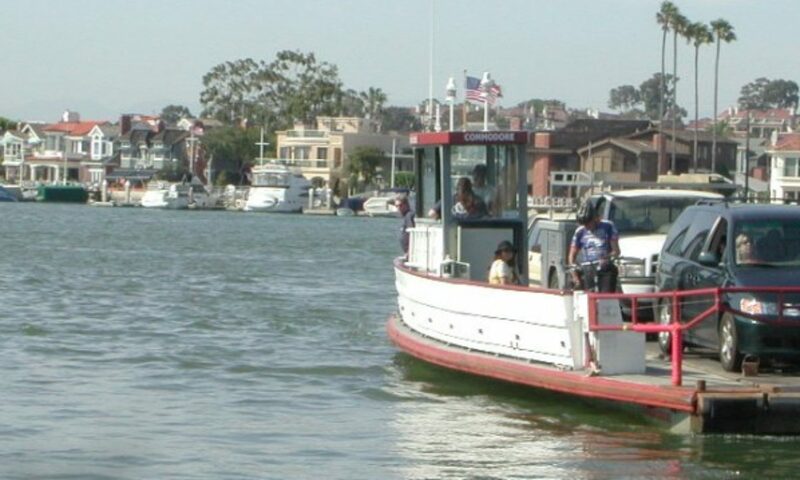 2 blocks away is the little ferry that will take you across the bay to the Balboa Peninsula (all for $1), and another block to the Pacific Ocean and miles of wide beaches, the Balboa Pier, swimming, surfing, sunning, and shopping. There’s even a little ‘FUN ZONE’ with Ferris wheel and arcade games. Kayaks, sailboats, electric boats, paddle boats, bicycles, etc. are all available to rent at the Fun Zone. Or wander farther afield to Disneyland (25 minutes) or the beaches at Laguna, Corona del Mar, etc. LA is an hour north, San Diego an hour south.